Manhattan shop Macaron Parlour has pushed the limits of the traditional French cookie with their Cheetos-flavored macaron. 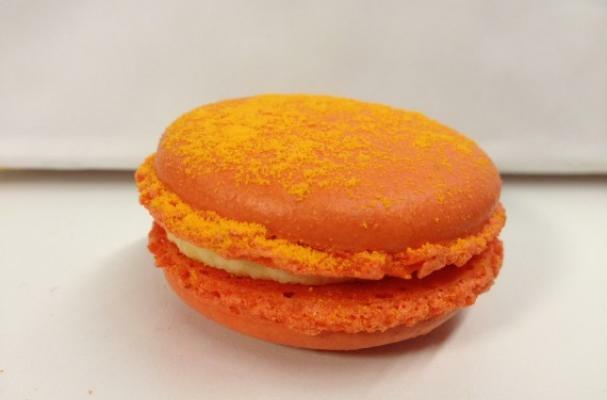 The flavor was conceived by co-owner Christina Ha (who also created this meaty macaron) who had combined the flavor and cookie when she found herself with some spare Cheeto dust around Halloween. Originally intended to be offered for a limited time, the macaron's availability was cut down due to Hurricane Sandy But the bakery has since brought it back. And what have people thought of this odd flavor? "Actually, I think this works," expressed one Huffington Post editor. "And I kind of like that the cheesy Cheetos dust is such a contrast to the rest of the cookie. Plus, I think this deserves a badge for not being disgusting. This is the sort of thing that could easily tilt in that direction."